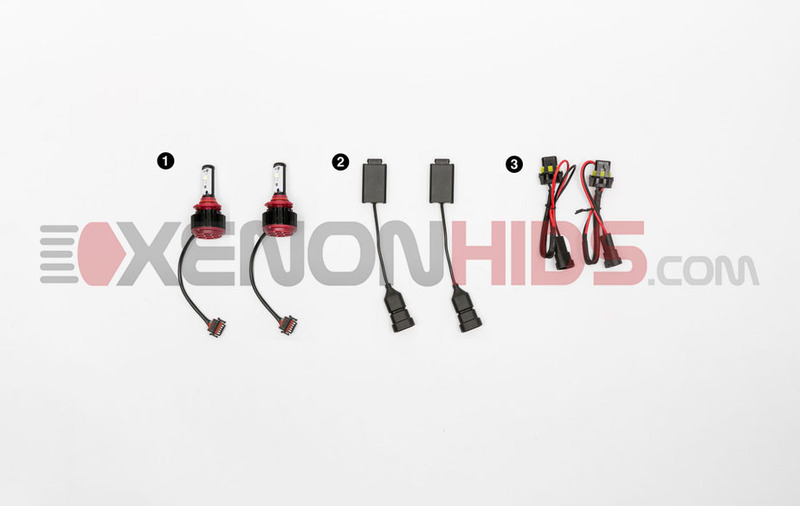 Below are the components included in your LED Headlight Conversion Kit. 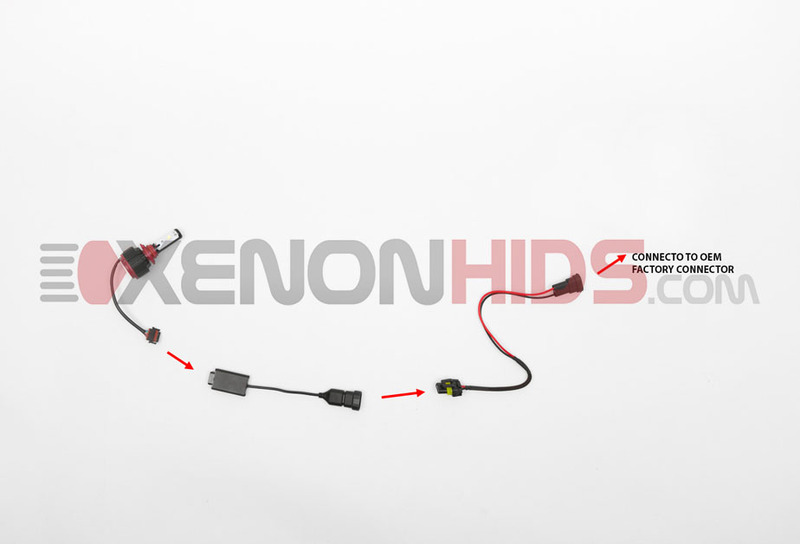 Below are the simple steps to connect your LED Headlight Conversion Kit. The diagram outlines the connection for one bulb and one controller. Repeat the exact steps for the second headlight. Connect the LED Bulb to the LED Controller. Connect the LED Controller to the Factory Harness Adapter. NOTE: The Factory Harness Adapter must be installed as per the diagram for the kit to function correctly. Never look directly into the LED bulb because the light emitted can be very bright and hurt your eyes. Never adjust your LED lights to point upwards because you might diminish the visibility of other drivers on the road. To avoid short circuiting your LED bulb, make sure to turn them on only once your vehicle has been started.